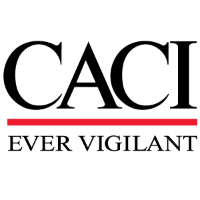 CACI is seeking a Contractor Special Security Officer (CSSO) to support our Facility Security Officer in Albuquerque, NM. Maintain applicable SCI directives, regulations, manuals, and guidelines to adequately manage CSSO duties and responsibilities. 5 plus years experience working as CSSO managing security in support of Intelligence Community and DoD programs. Familiarity/working knowledge with the following is highly desired: DoD 5105.21-M-1, Sensitive Compartmented Information Administrative Security Manual; National Industrial Security Program Operating Manual (NISPOM) and Supplement (NISPOMSUP); Director of Central Intelligence Directives (DCID) 6/3, 6/4, 6/9; and the DoD Joint Personnel Adjudication System (JPAS) Database. Experience with NSA COMSEC account.